BUFFALO -- I know the final score said 4-3, Boston. But Monday night's Prospects Challenge game felt like a win to me. 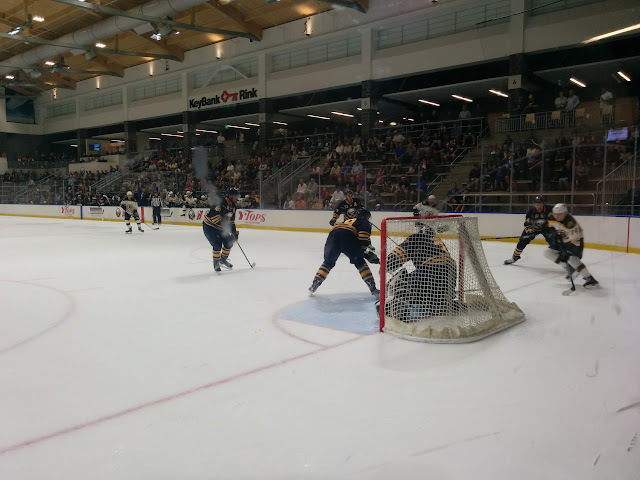 This is the second year that the Buffalo Sabres hosted a pre-pre-season tournament-style event featuring prospects from the Sabres, Boston Bruins and New Jersey Devils at Harborcenter. And judging by how it went, I can only imagine it won't be the last. Harborcenter is a great facility. I've had the opportunity to catch a few events there, but I was usually in and out quickly; Grab a couple photos, maybe a quote and out the door to the next thing. Monday was the first chance I actually got to take it all in. Apart from the limited seating and fewer concession stands, you would barely know you weren't at an NHL rink. But the seating itself if professional standard. And the concessions themselves are quite ample. The action on the ice Monday night was a little grittier than I expected. Play was very physical given the pre-pre-season nature of it, which surprised me. But it shouldn't have. The prospects playing on the ice are trying to prove their worth, so, of course they were going to go all out. Can I just say it was nice to watch hockey? And it was really nice to watch hockey players wearing Sabres uniforms ... even if they weren't exactly the Sabres. For me, though, the nicest thing about Monday night was seeing all the kids watching hockey -- or not watching hockey as many were off doing their own things, or staring off into space as their parents watched the game. There were a lot of kids at the sixth-floor hockey rink, likely due to the $10 tickets. The Sabres also had a pretty nice sale on hats, t-shirts and baubles. ONE BUFFALO hats went for just $5. Velcro hats were $10 and flex-fit hats were $12. There was a considerable selection of Evander Kane t-shirts for $5 ... for some reason. Sabretooth was there wandering around the rink for pretty much the whole game. He stopped and sat with just about anyone that would let him. 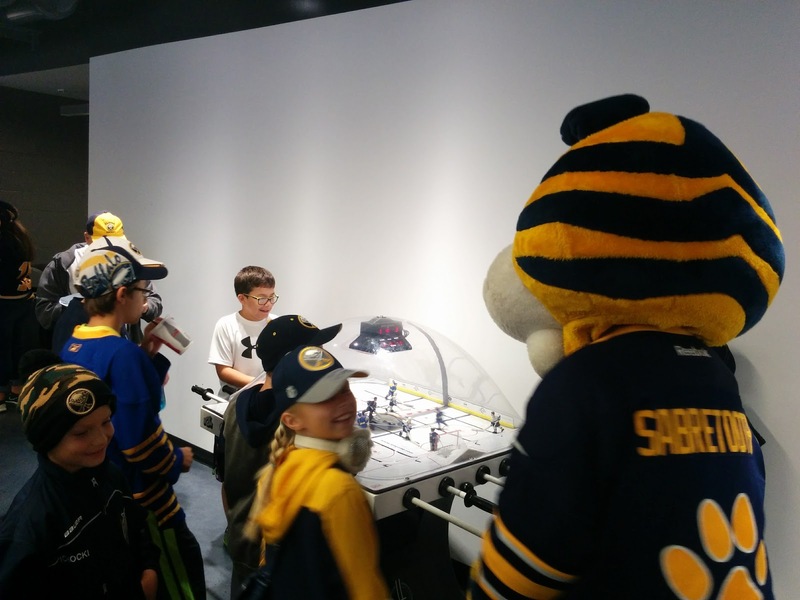 He posed for photos, signed autographs and even played some bubble hockey for a bit. In my dealings with them (through three different ownerships), the Buffalo Sabres organization has always been a class act. That showed through again on Monday. I look forward to more hockey. +Scott Leffler is editor of All WNY News and a fan of hockey. Follow him on Twitter @scottleffler. RELATED: Photo album from Monday night's game.